It’s the big day of your estate sale. 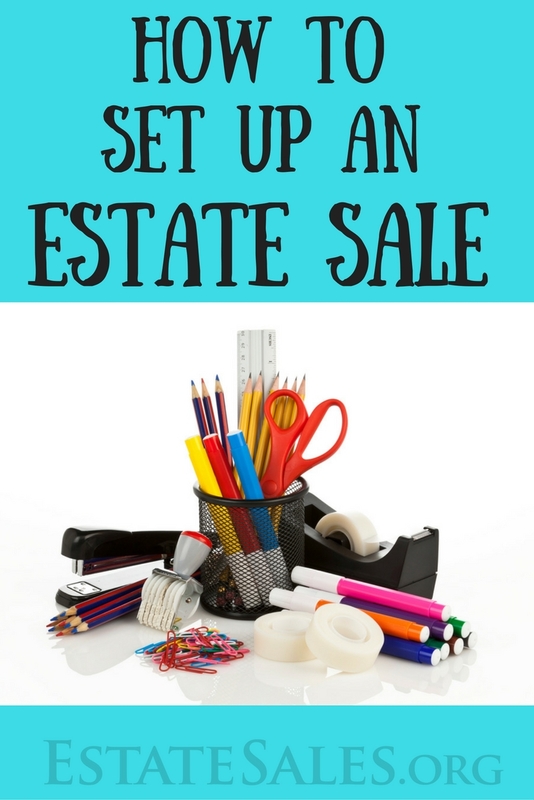 If you’re new to the estate sale business, you’re still figuring out what you need to make the sale go smoothly. Even if you’re an estate sale veteran, it can be easy to forget things last minute. We compiled a check-off list of best practices for the day of your estate sale, regarding staging, security, signage and supplies you’ll need. Remember: a little preparation up front goes a long way toward success. Staging can make or break your estate sale. Think about your favorite store and the feeling you get when you walk inside. Now think about the store that always stresses you out. Is everything in disarray? Is there an unfriendly vibe? Does it look unclean? All of these cues subconsciously let you know what kind of place it is. The good news is, unlike other aspects of an estate sale, staging is completely within your control. Do what you can to create the kind of atmosphere you’d like to attract the customers you want, and not problem shoppers. Then get them in the buying frame of mind. Some estate sale companies use closets for same-price items (usually clothes). Then, put a sign on the closet door: Everything $X. Done. Ladders are great tools that can be used for displays. Set it horizontal or vertical or use slats to make even more room. Investing in a traditional clothes rack you can use at every sale is also a good idea. Dust off the top of doors to hang blankets, quilts, etc. If the beds are still in the house, use them! Beds can be used to display flat items or items that can be laid out. Railings can be put to use to display items, like clothes and linens. A picture is worth a thousand words, but a sign is worth a million. Got something to say? Say it with a sign. 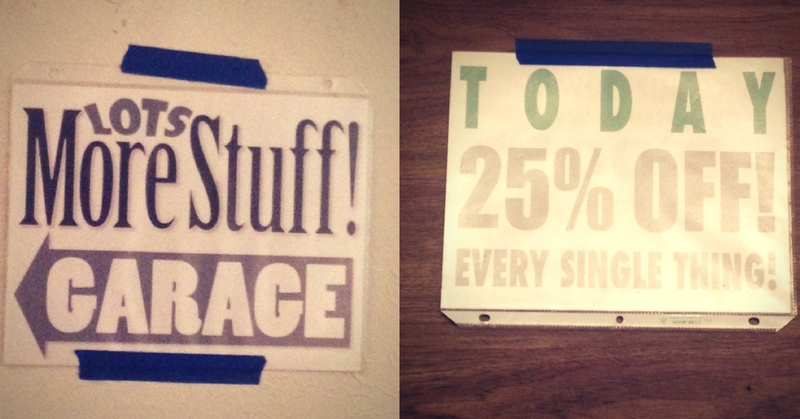 Signs are not only a way to convey the rules to customers, they’re also a way to set the tone for your estate sale. And forget less is more when it comes to signs – the more, the better. Here are some examples you may want to think about at your estate sale. If you know you’ll reuse them, invest in some professional, sturdy signs so you don’t have to reinvent the wheel every time. This Big Brother reminder is casual enough to be friendly, but sends the message that you mean business. Items without tags are not for sale. This type of estate sale sign eliminates people who take off the price in hopes of getting a deal – or free! (Yes, there are people like this; stay in the business long enough, and you may start to lose faith in humanity). The best way to eliminate this is to prohibit sales without price tags. You’d be surprised how well this works. Not every room at an estate sale is a free-for-all, especially if your clients are still living at home. Place Do Not Enter signs wherever you want customers to keep out of – like bathrooms if you don’t want them using your facilities for a pit stop. Pretty self-explanatory. The trick here is to actually follow up on your threat if it happens. Word gets around and you want to be known as the company who can’t be ripped off. Letting small children run amok in someone else’s home, whether or not it’s an estate sale, should be an apparent no-no. Unfortunately, not everyone has good manners. Let a sign point out the obvious. These are convenient for announcing estate sale discounts, rather than having to tell each customer at the door or at check-out. Sorry, we’re full. Please wait. Put this sign on the front door when you need help controlling traffic inside the house, without having to put an employee on guard. More stuff in the garage! Pro estate salers know the best stuff often lives in the garage (power tools, anyone?) But some shoppers won’t know other rooms have items like furniture for sale unless you point it out. It’s the seedy side of the business, but like it or not, there are thieves out there who will try to rip you off. Estate sales are often easy targets. Luckily with affordable technology at our fingertips, going vigilante is easier than ever. Of course, if you do catch a thief or something comes up missing, always report it to help make sure it doesn’t happen again. You don’t have to employ actual rent-a-cops, although the bigger estate sale companies usually pay for this service. Security guards can simply mean people you hire especially to keep an eye out for shoplifters. Just having extra estate sale staff around, if you can afford it, is also a way to cut down on stealing. Think of it as a panopticon, estate sale style. Some estate sale companies use a Bluetooth device to communicate with each other, and have found it has the same effect on shoplifting as having extra employees. Chalk it up to paranoia, thieves are less apt to steal when they think people are talking about them. If you suspect bad behavior, say, “We may have a problem” or something to that effect to scare the potential thief out of pocketing that collectible. Unfortunately, it can be regular customers who are thieving from your sales. These people are known to frequent estate sales on the regular, and because you see them all the time, it can be easy to let your guard down. If you’re finding items keep going “missing” at your sales, you may consider keeping an eye on the people you see every weekend. Even if you don’t feel like reporting the crime, you should. 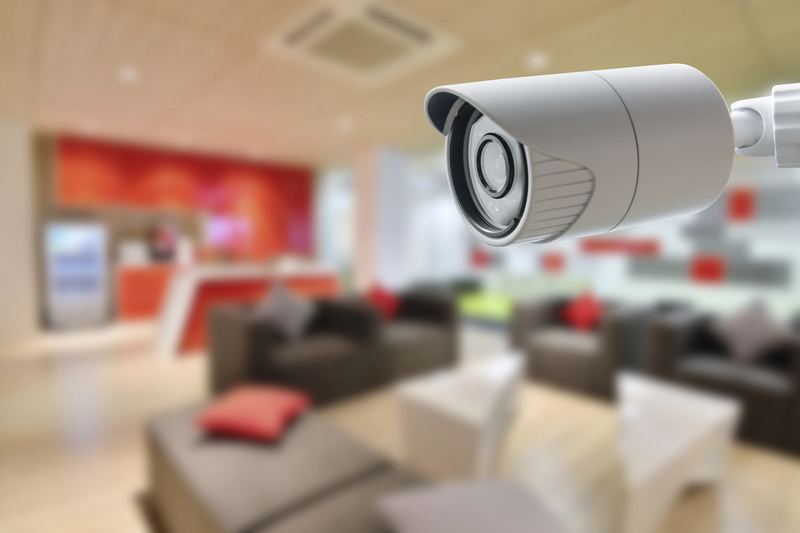 The more theft is documented, the better chance there is of stopping it. This problem doesn’t affect only you, but all the estate sales (and stores, for that matter) in your community. These are the nuts and bolts of your sale day. Just like you’d be prepared with a bridal bag for a wedding, you’ll want to gather everything you might need before your estate sale, instead of scrambling the day of. Not only will it save you time, you’ll look that much more professional and prepared to clients and customers. 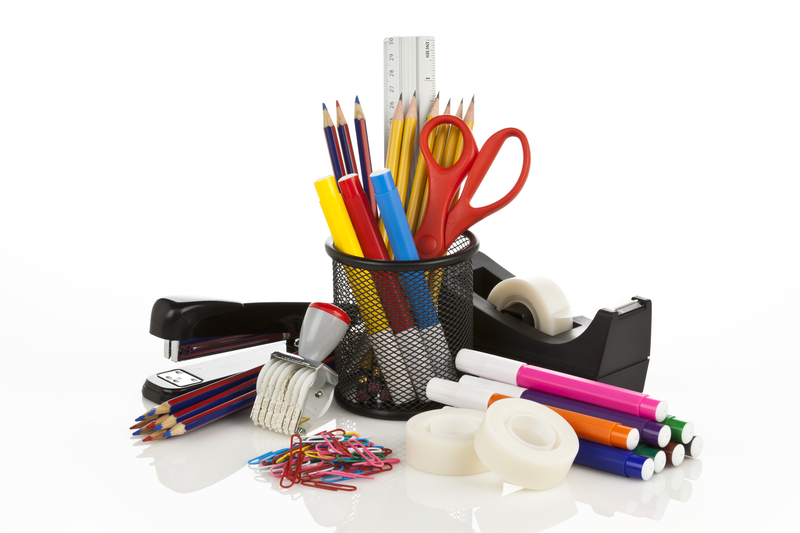 Check out more tools of the trade. Before running out to buy a bunch of price stickers, consider other methods of displaying the price. The problem with price tags is that some people like to remove them (see above). Others may even switch them to get a lower price on the item they want! Be one step ahead of the scammers and try to price everything using a grease pencil, which can write on glass and plastic. These work especially well for lots, like kitchen utensils, art supplies, tools. Better to have than to have not. For price tags that fall off or last minute to-do’s and forget-me-nots. Use a couple of folding tables, one for checkout and one for bagging/wrapping items. Hint: keep these tables separate to avoid congestion and keep things moving. Customers appreciate having plastic or paper bags to tote their items home in. Start collecting them or buy them in bulk at CostCo or Sam’s. Some estate sale companies require shoppers to BYOB (Bring Your Own Bag/Box), which most people don’t seem to mind. Hint: Look for bags in the home of your estate sale – you’ll often find them in the junk drawer or closet. Go the extra mile and give customers a crate or bag they can put items in while browsing. It encourages them to buy more! To wrap items, use old newspapers or ask your local publication for their “end rolls” which are blank. This could be on your smart phone or device. Great for calculations on the fly, especially for those of us who were English majors. That about covers it! 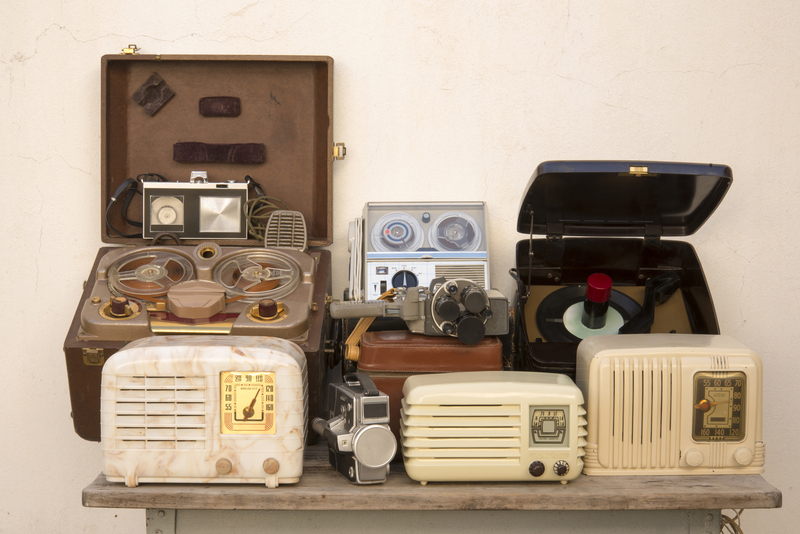 What are your must-have supplies when holding an estate sale? Let us know your tips in the comments!